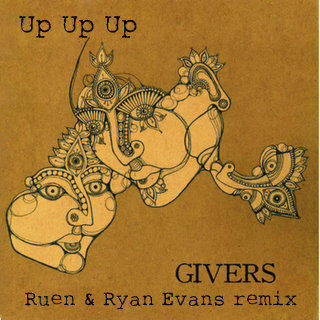 Hometown boys Brandon Pendleton aka DJ Ruen & Ryan Evans continue churning out one good remix after another. Their latest are for Givers track "Up Up Up" & Hey Champ's "Silver City" that I just posted so I figured now would be a good time to post these babies up as well. As always solid remix work that should get them booties moving on the dance floor. I constantly throw their remixes in my sets and they never disappoint. Feel free to test them out for yourselves. Need more? Check out their soundcloud to score a whole lot more. Awesomeness. RAC better watch out.